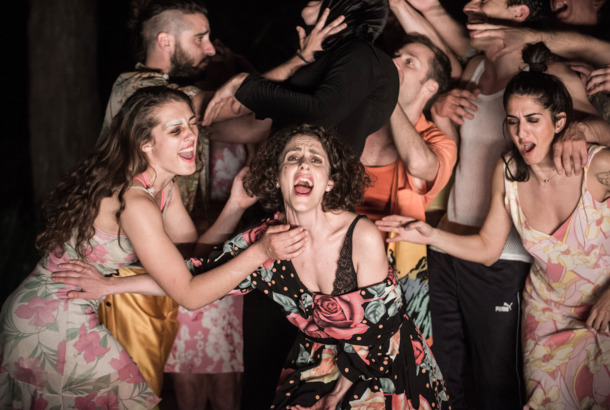 Theater Review: Aristophanes’ The Birds, Gone Cuckoo in the Best Possible WayA life-affirming, madly colorful production of a 2,500-year-old play. Revisiting the Show That Launched Alexander McQueen’s CareerA new biography documents his 1995 spring collection, inspired by The Birds. Hitchcock Movie Happening in QueensBird attack! Yet Another Bird Attack Grounds LaGuardia FlightFor the second time this week. Birds Fail to Take Down a Plane Near LaGuardiaThe avian menace strikes again. Snowy Owls Spared Violent Deaths, Because Look at ThemAirports will try not to kill them with shotguns. Yet Another Red-Tailed Hawk Found DeadWHAT is going on? Scientists Solve The Birds MysteryIt was a bird pretending to be its dead bird mom! Manhattan Now Has Its Own Dead-Bird MysteryThis one might not be a freak natural occurrence. Bird Die-Off Mystery Solved When Government Admits It Just Killed Them All Out of FrustrationAt least it wasn’t the End Times. Watch the Trailer for Birdemic: Shock and Terror, the Next Hilariously Great Cult Horror MovieIt’s ‘The Birds’ meets ‘The Room,’ and it looks amazing.